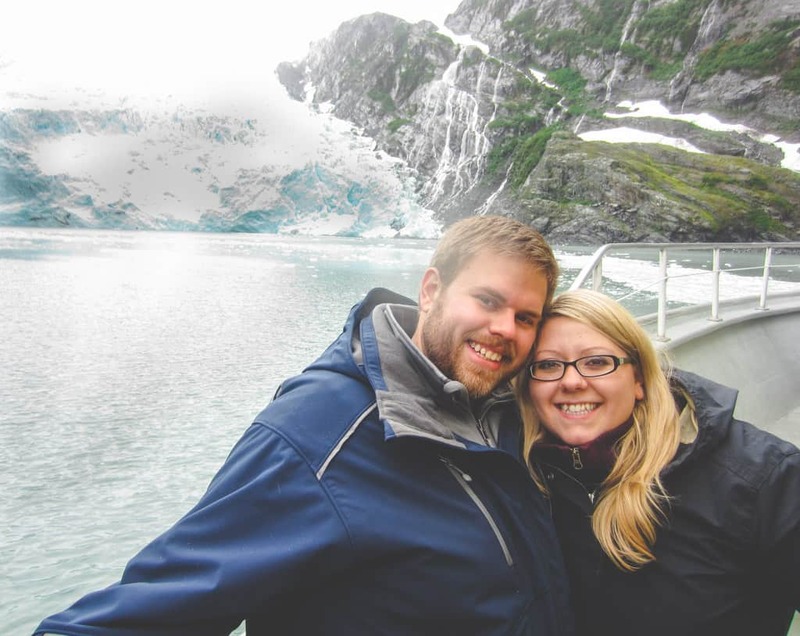 Today’s post is a fun one, I’m sharing how to honeymoon in Alaska with some tips, tricks, and words of advice for traveling to the last frontier. 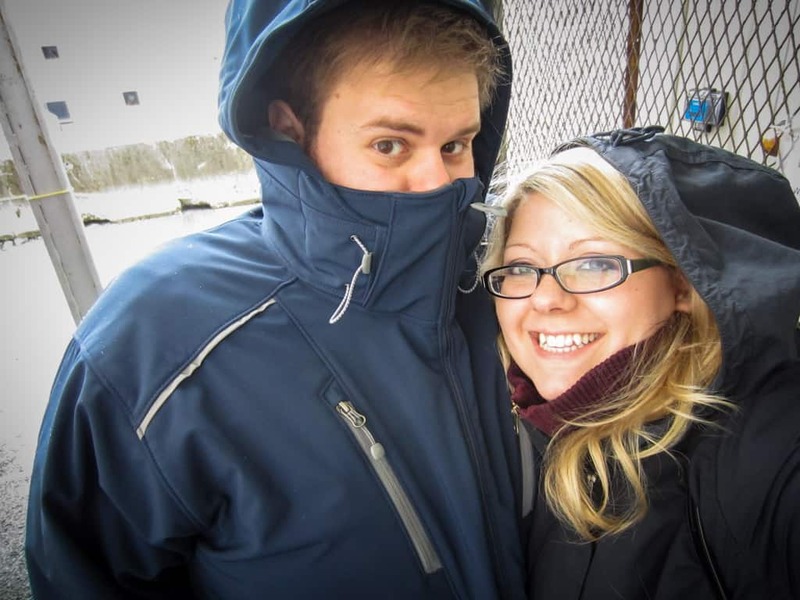 I’m sharing it today because three years ago I married my amazing husband and for our honeymoon we went to Alaska! It was such a great trip, and to this day I think back on all the immensely beautiful landscapes and sights we saw. Even as I was posting these pictures I couldn’t believe that I got to see these things – looking at the pictures also makes me want to go back! 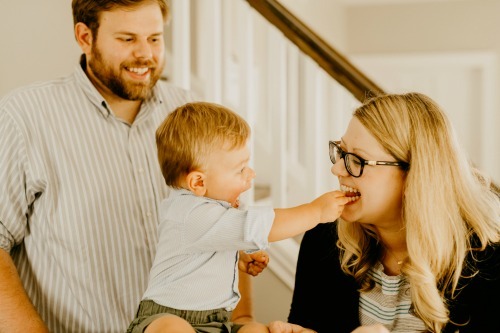 I always love scrolling through peoples’ vacation photos and hearing their overviews, and since these photos haven’t been shared here and it is our anniversary AND my husband reads my blog, I thought I’d surprise him with this post … happy anniversary babe! 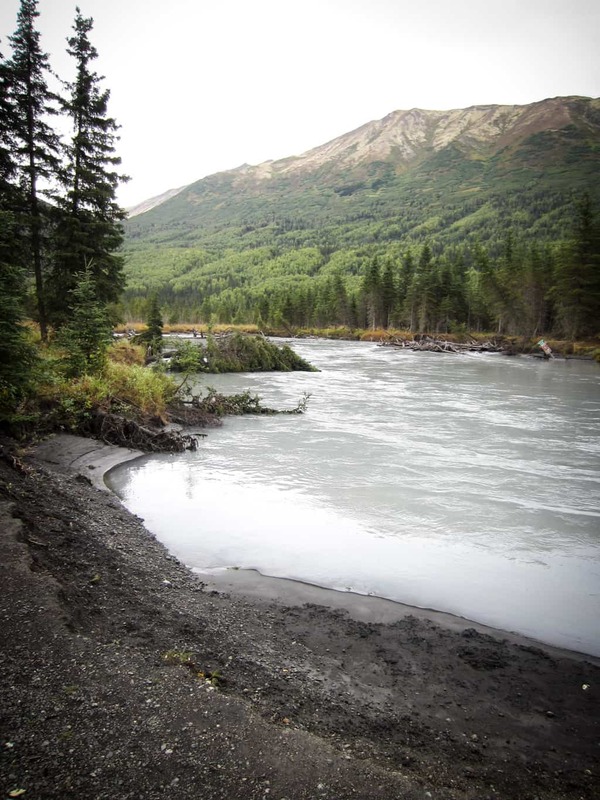 The above picture is of the Kenai River, I fell in love with this river because of its gorgeous color! Every time we’d be driving and I’d spot the vibrantly blue/turquoise water through the trees I’d make a point to pull off to the road to take a picture – the water, just look at it!! 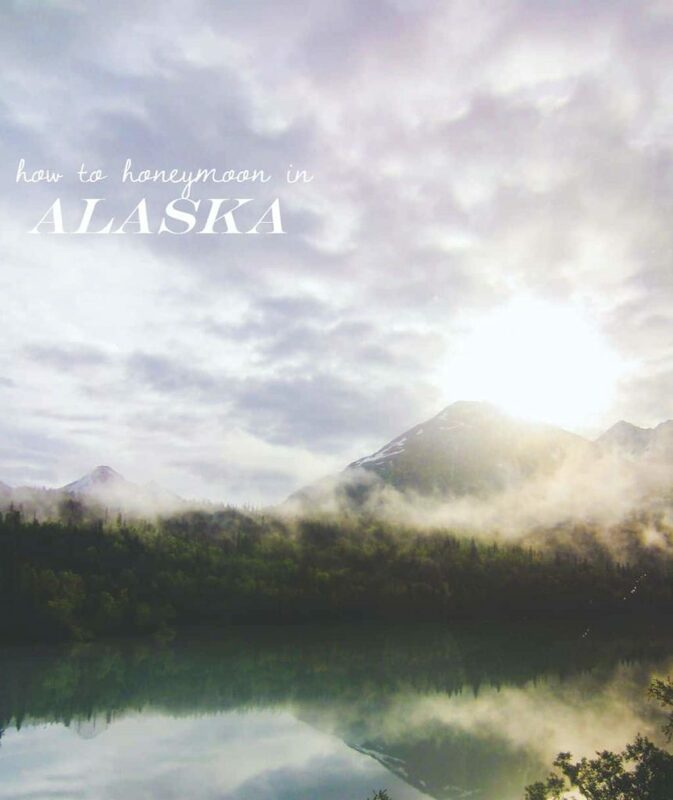 We choose Alaska as our honeymoon destination because after all the craziness that is a wedding, we wanted something low key. Somewhere we could relax and explore at our own pace. Alaska turned out to be perfect for such a trip. Every road leads to gorgeous nature and sights that are like nothing you’ve seen before. Location – Alaska is huge, it is one-fifth the size of the Lower 48 and Alaska is bigger than Texas, California, and Montana combined! I was curious how big Alaska was, so I did some googling, and Alaska.org has a ‘How Big Is Alaska‘ section which has a drop-down menu where you can choose your state and it will tell you how big Alaska is in comparison, and apparently you could fit Wisconsin into Alaska 10 times! So you get a picture of how big it is, right? We decided we wanted to fly into Anchorage and then rent a car and do day trips to and from the area. Packing – make sure to check the weather! Sooooo before leaving I asked my hubby ‘what’s the weather going to be like’ (we got married Sept 1. and the weather for our wedding was beautiful – slightly cloudy and in the upper 60s), he responds ‘in the 60s’ I assumed he had checked the weather (he claims he did to this day *insert eye roll*) and we get there and it’s freezing! YUP! I had brought layers, thank God, but I spent the vacation bundled up and cold. And my hubby? Well, you’ll note that in all the pictures you see him in a grey fleece/blue jacket – we bought that in Anchorage…but we won’t talk about that, right? Needless to say, when packing for your Alaska getaway be sure to pack lots of layers and a coat! The weather is super cold at night and then warms up (only slightly) during the day. Itinerary – here’s where the fun comes in! Before any vacation I make a spreadsheet with the number of days and then I jot down different options of things to do. While I don’t plan down to the minute (that would be too much pressure and then I would feel late or like I was being rushed) I do make a list of activities and outings that I think we’ll enjoy. 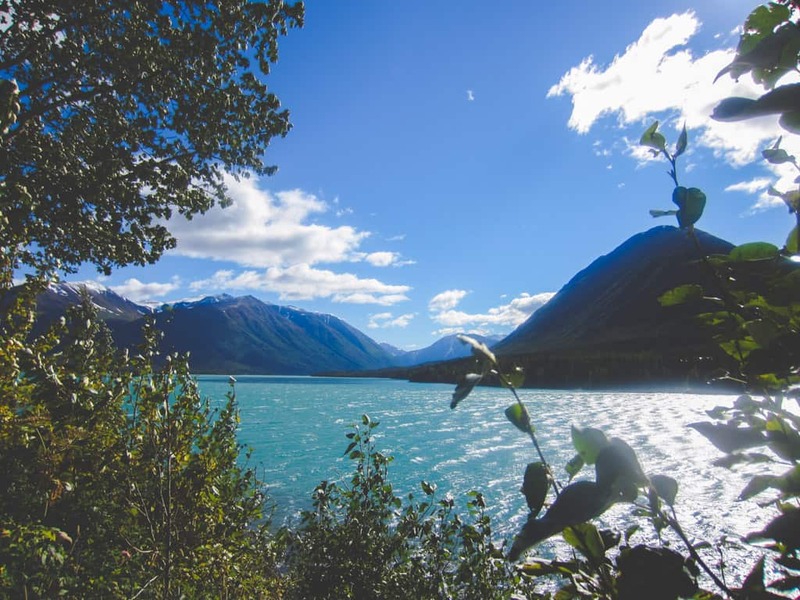 While you can’t go wrong on any sightseeing tour in Alaska (everything is just so pretty) there were a few that were just above and beyond amazing. The first is a glacier tour. It’s just a must. If you’re in Alaska, please go see some glaciers! We took a 5 hour glacier tour out of Whittier (only an hour and a half drive from Anchorage). 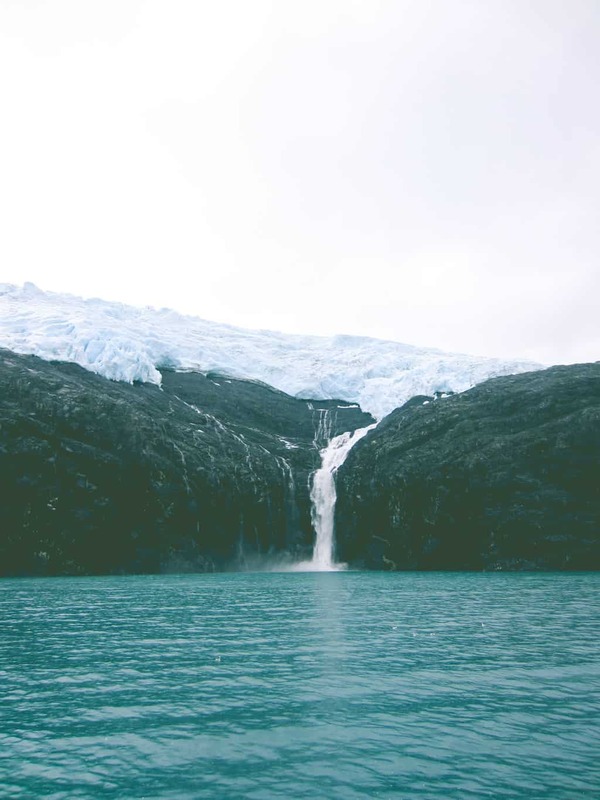 Along the cruise we saw many different glaciers, and I was transfixed by the color of the water, it was just so blue and turquoise! So a glacier tour is a must! We did take another wildlife cruise which as only ok after seeing the astounding glaciers. On the wildlife cruise – it was only a 2 hour one, so we didn’t go out as far, we did see sea otters! They were so fun to look at – and we also learned to really fun facts about them: 1-1 square inch of their fur contains as much fur on it as a typical 100lb dog! I mean, they do have to stay warm swimming in those icy waters, right? And 2-if they find a rock they like for breaking open food (they like club their food from what I understood) they will tuck the rock under their arm and swim around with it – talk about a favorite eating utensil! 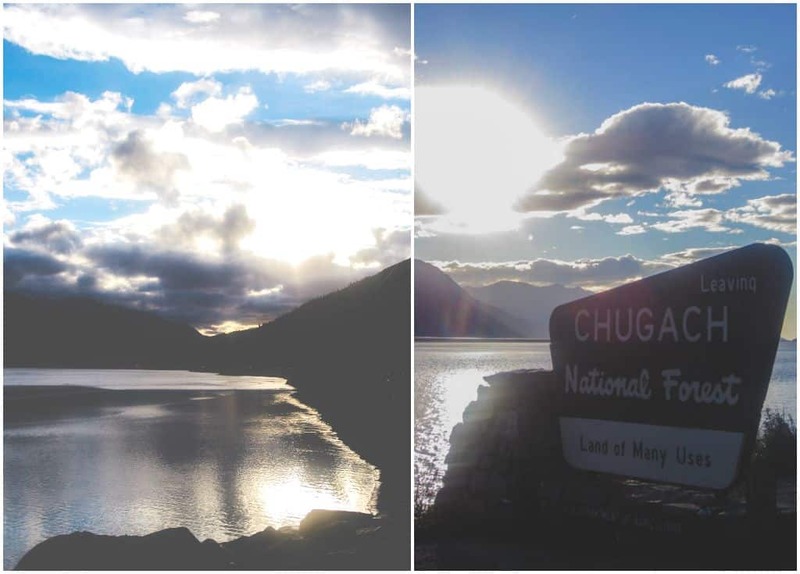 On our drive from Whittier back to Anchorage, or as a matter of fact many of the drives out/into Anchorage go along the Chugach State Park – along the Turnagain Arm off the Golf of Alaska – and that drive was just stunning. As we were driving once I kept seeing little signs for ‘salmon viewing areas’ and one of those times Nick said we should go check it out. 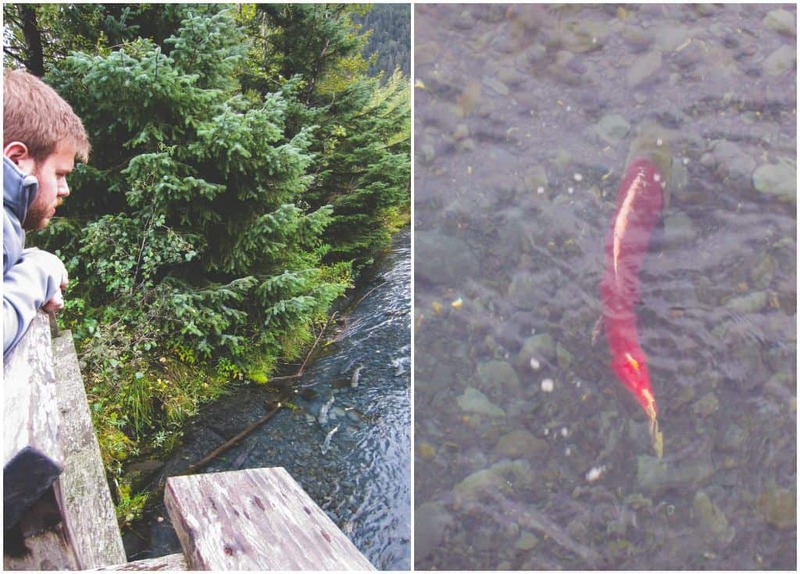 Turns out, it is exactly what it says it is – a salmon viewing area – you literally can see the salmon swimming!! 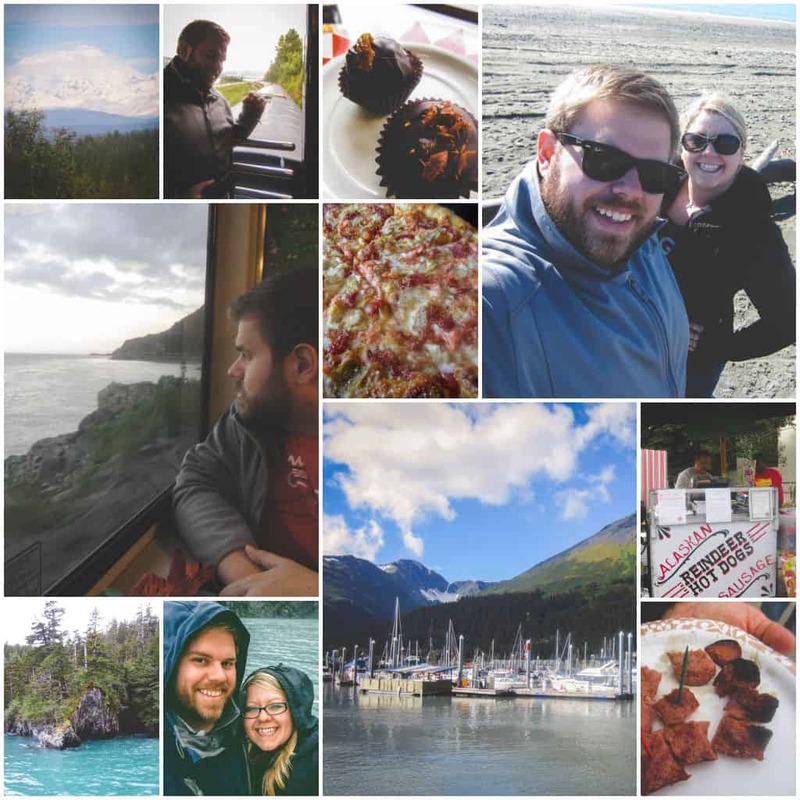 There are a few other things definitely worth noting – we went on a train ride from Anchorage to Seward via the Alaska Railroad. That is another must. One could walk out on these little balconies (it was too cold to stand out there more than a few seconds, but tooootally worth it and a cool experience)! 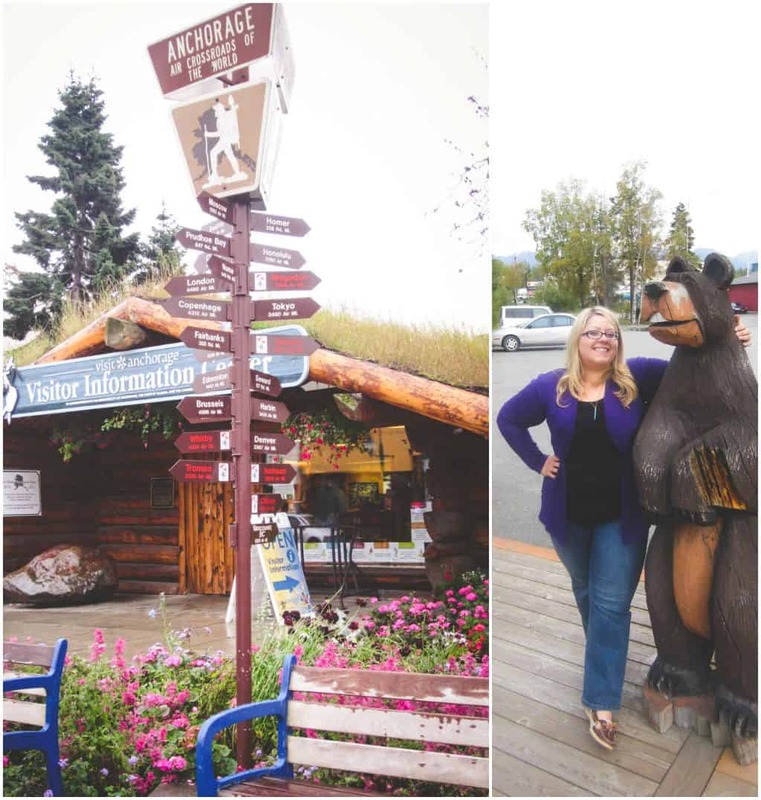 We drove to Talkeetna to see some views of Denali, but we really didn’t like the town – it was super small and jam packed with tourists, so we found a viewing spot, took a picture of Denali and drove away to other adventures! We also took a walking food tour in Anchorage. That was super cool, and there were some unique foods we got to try- we tried salmon truffles, salmon pizza, and then reindeer hot dogs (they don’t have beef like they have in the lower 48! haha…still felt like I was eating rudolf though so I didn’t enjoy it quite as much as the unique salmon dishes). Alaska stole my sightseeing heart, I cannot wait to go back and see it again! Have you ever been? Oh that looks like so much fun! No I have never been but I would love to! I had never thought I’d Alaska as much as I did…now I can’t wait to go back! Amazing Honey! It was a great trip! Love you too! Wow! These photos are beautiful. I really want to go to Alaska and I am thinking of adding it to my 6 week trip, but I can only get there for the middle of October and I am not sure if it will be too late then. LOVE this post! I have been DYING to go to Alaska and after seeing your seriously gorgeous photos and reading about your adventures, I am even more anxious to vacay there! The water color of Kenai River is CRAZY beautiful! I could probably stand there and stare at the water all day! And those glaciers! OMG, breathtaking! The otters are super cute too! I love that they keep their favorite food “rock” with them!! I never knew that! Thank you for making me seriously jealous over this trip 😉 You definitely have me wanting to book a trip STAT! Cheers and HAPPY ANNIVERSARY! Thank you so much for your comment and anniversary wishes! You totally would fall in love with Alaska. 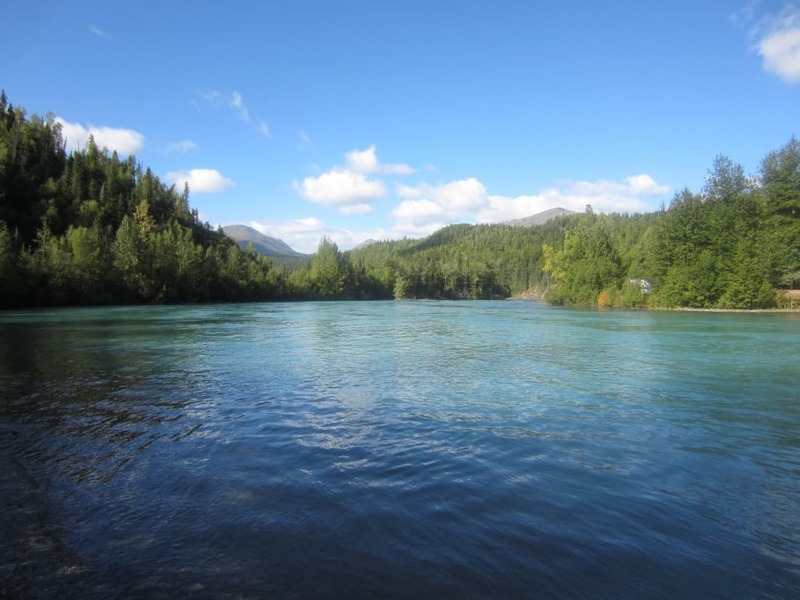 That river…I just couldn’t get over it! I took waaaay too many photos of it lol. And those otters, they’re just adorable, I wanted to take one home with me, but i’m certain there are hunting laws against that or something lol. Alaska is definitely definitely definitely travel bucket list worthy – it is so breathtakingly beautiful, I want to go back stat! 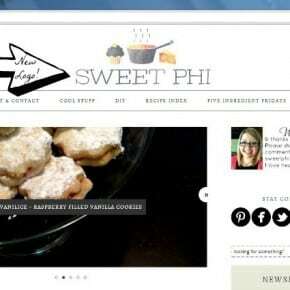 Hi Phi, looks like a wonderful honeymoon. I have never been to Alaska even though we have family living there. Love the otters! OMG that first picture brought me to tears! Also one of these days you need to teach me how to write on the photos lol! These pictures are seriously breathtaking. I love how sweet this post is and that Nick reads your blog… just adorbs! Also, thank you for teaching me what VRBO stood for bc I didn’t actually know that lol! 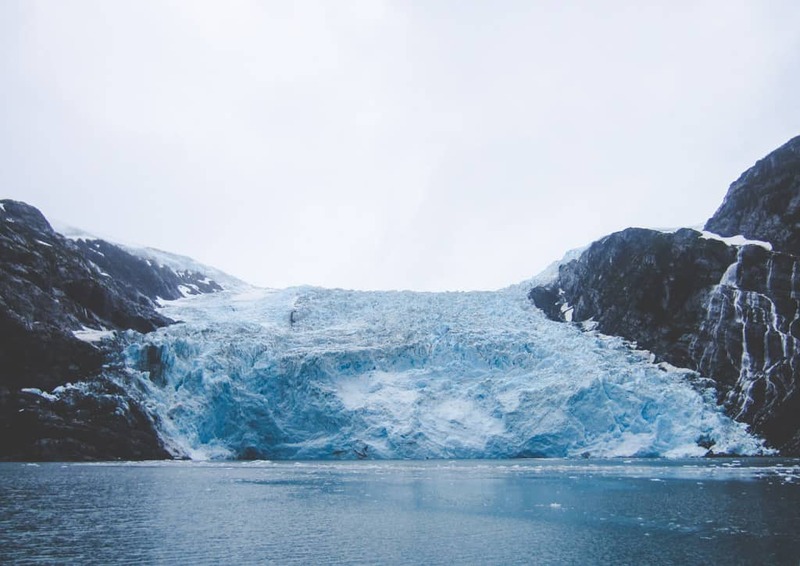 I loved how insightful and helpful this post was and you have me DYING to go to Alaska now!! 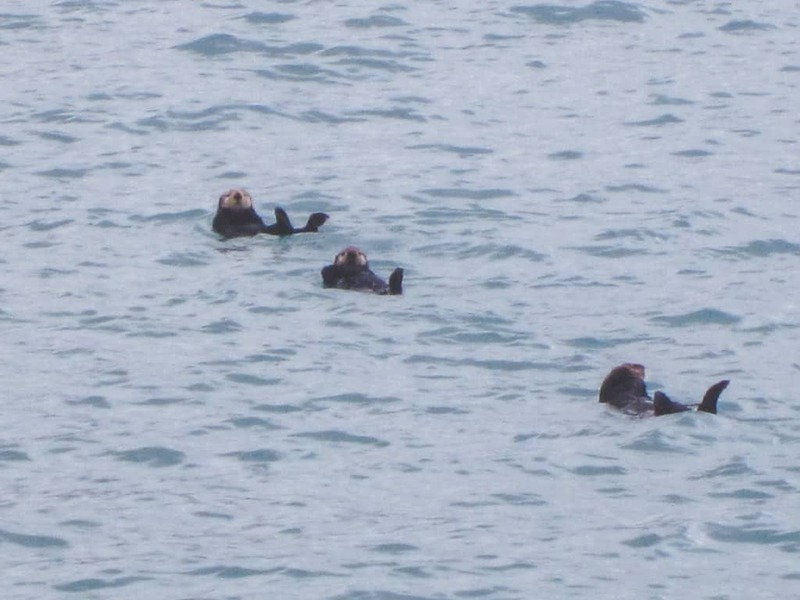 Also I’m pretty sure that middle sea otter is waving at you…just sayin’ LOL…can we go to Alaska now?! AWE girl, thank you! I’m so glad you like the pictures! 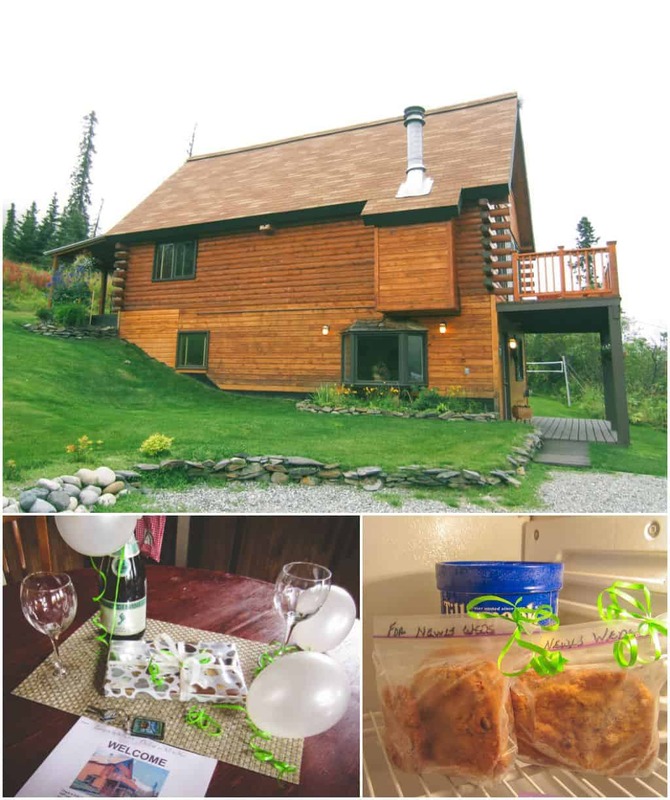 Vrbo kind of rocks my world when traveling – it was especially perfect for finding a cozy cabin for our honeymoon! I’ll gladly teach you about the text on photos – it’s super easy. And girl, we NEED to go to Alaska asap-the sea otter wasn’t waving at me, he was waving at you saying ‘come visit me’ lol, so yeah, we definitely need to plan a trip! Thank you so much for your super sweet comment! What an amazing trip! I love honeymoons that are not the “traditional” tropical resort theme. 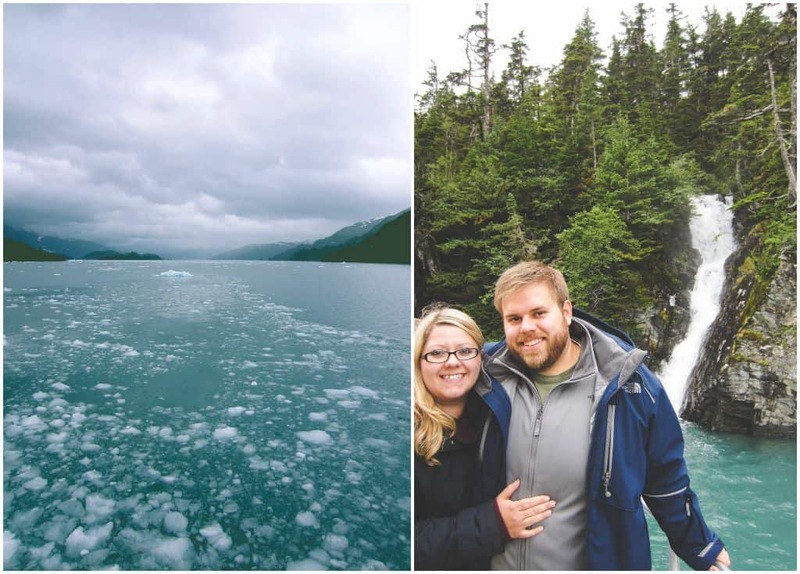 We went to Norway for our honeymoon- looked strikingly similar to these alaska photos actually… looks like you had an amazing trip! Those otters are SO CUTE!! Happy Anniversary guys! May all your life be full happiness and love! Thank you for taking us with you on your beautiful honeymoon via these amazing pictures! MUCH appreciated! I have been in Alaska twice. It was amazing experience. The nature is spectacular. I am so proud that I have the opportunity to visit the last frontier. Moving there is my dream. 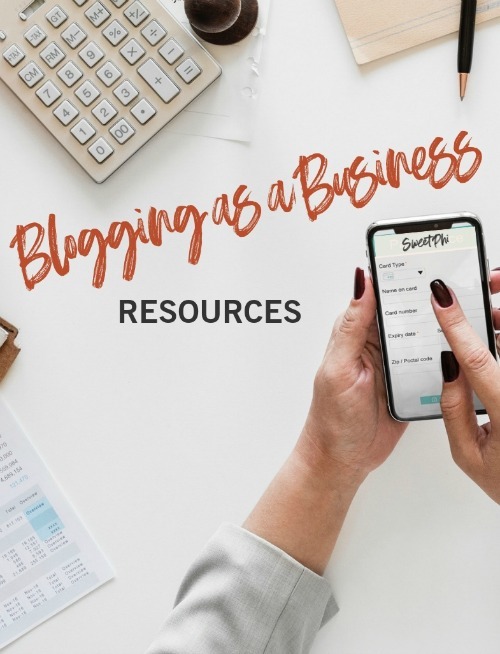 Thank you for sharing your post! Greetings! First time I was in Fairbanks, second in Denali. 🙂 I have seen a bear in Denali 🙂 It was amazing! I want to go back again. Greets! Both Fairbanks and Denali are on my list, now I have to go back!! Thank you so much for your comment, you’re so lucky to live in Alaska, it was sooooo gorgeous, cannot wait to make it back! Hi there, how long did you guys stay? Would 10days be too long? Thanks for the great article! 10 days is exactly perfect – that’s how long we were there!!! Thanks for the reply! We just booked the same house for 9 days. I am so excited. 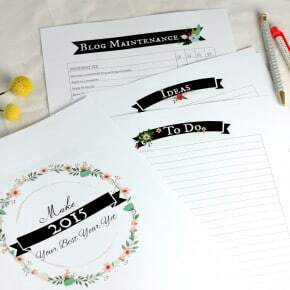 I’ll bookmark your page so I make sure to visit all of your suggestions. what month was your trip? Great honeymoon! We spent 3 weeks in Alaska last summer and loved it so much we are going back for 3 weeks this summer! That’s so amazing that you’re going to go back for 3 weeks! I’m a little jealous lol, I LOVED Alaska, cannot wait to go back one day! How much was your trip total? Thank you for posting this! I am trying to plan a relaxing trip for my husband and I without breaking the bank. We tried to keep the whole trip (flights/housing/car/food) under $2000! Flights and housing were the biggest costs, but we were able to get a crazy good deal on flights so that kept the costs manageable. So glad you liked this post. Hope you have an amazing trip!